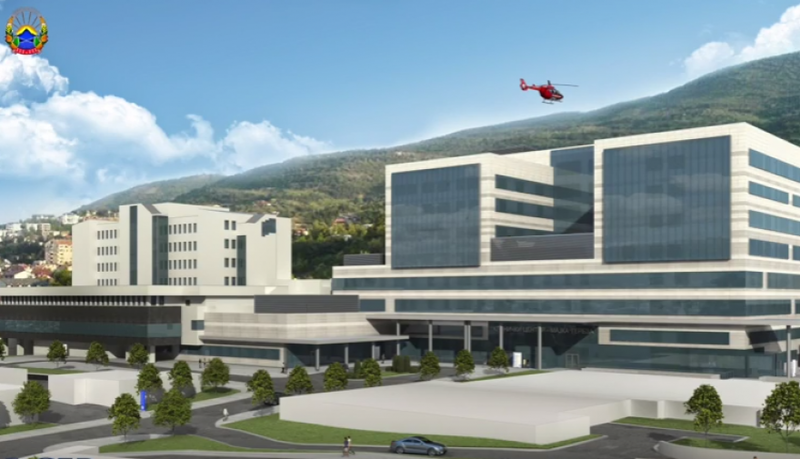 The European Union Official Journal has published the tender for the construction of the new University Clinical Center “Mother Teresa” in Skopje, said Health Minister Nikola Todorov on Thursday. “The clinical center is the largest healthcare complex in Macedonia, comprised of 32 independent entities and 3,400 employees”, said Todorov. According to him, the bids’ opening is scheduled for December 5. The entire procedure is carried out in compliance with the Council of Europe Development Bank (CEB) and the World Bank. “The evaluation criterion is the lowest justified price that meets the minimum of the most significant post-qualification conditions, as well as specific construction experience as primary contractor in the field in EU member-states over the past decade in a cumulative value of EUR 100 million”, said Todorov. He said construction works are expected to begin in March 2017 and completed by the end of 2021. “The new facilities will get new medical and non-medical equipment, and furniture. The investment for procurement of new medical equipment is estimated at EUR 13 million. This investment represents the crown of the Macedonian health sector. We are setting new quality standards of healthcare services in the country. The construction itself will cost about EUR 68 million, while the entire investment in the campus will reach EUR 128 million”, underlined Minister Todorov.